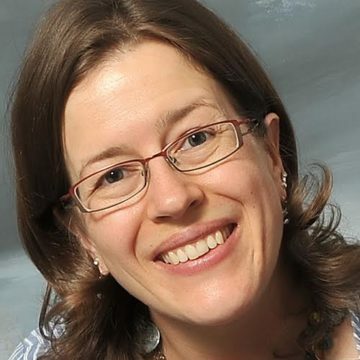 Thank you for joining us for the You’ve Got The Edge Challenge and we hope you will all join us again this week too. 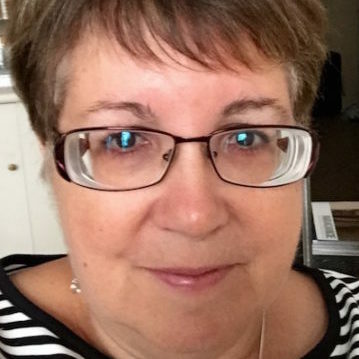 It is Beulah Bee’s last week with us in the Designer Spotlight and we would like to say a huge thank you for all of your fabulous creations over the past month. 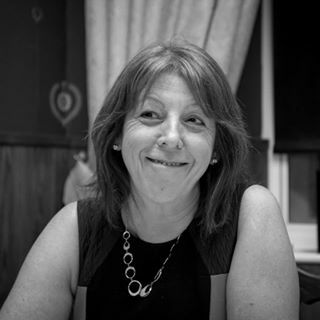 it has been a real pleasure to have you along with us again! 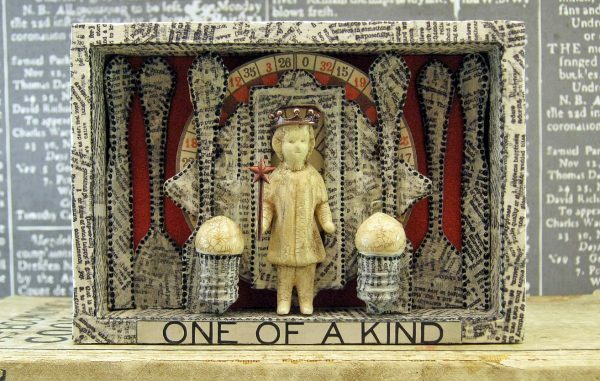 Beulah Bee was inspired to create an altered Vignette Box filled with Idea-ology Silverware, an Ornate Plate and a Salvaged Doll with adornments. Andrea made a bold and beautiful beet the focal point of her whimsical tag. The beet and sentiment are from Spellbinders’ Beets Me set and Brusho Crystals were used to mimic the appearance of dirt. 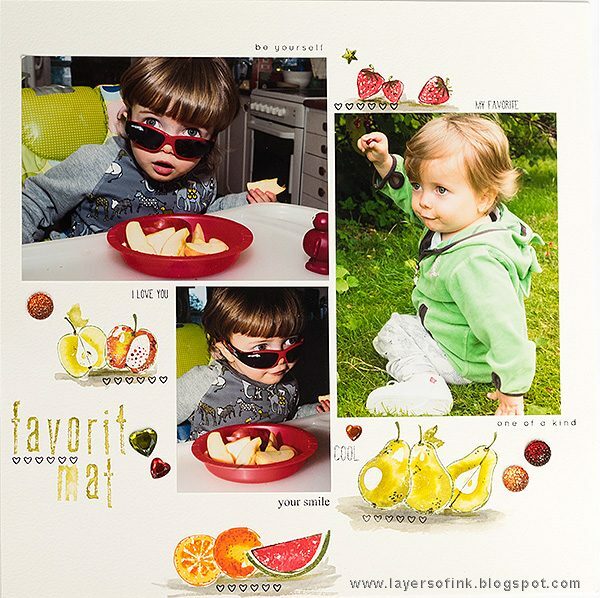 Anna-Karin decided to do a layout about food favourites, or rather about fruit, using in particular the Simon Says Stamp Artsy Fruits set. There are also some Tim Holtz idea-ology Mirrored Hearts and Stars. 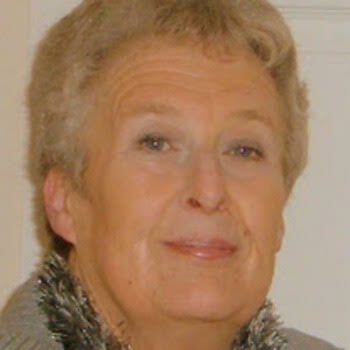 Barbara is always fascinated by the rainbow! 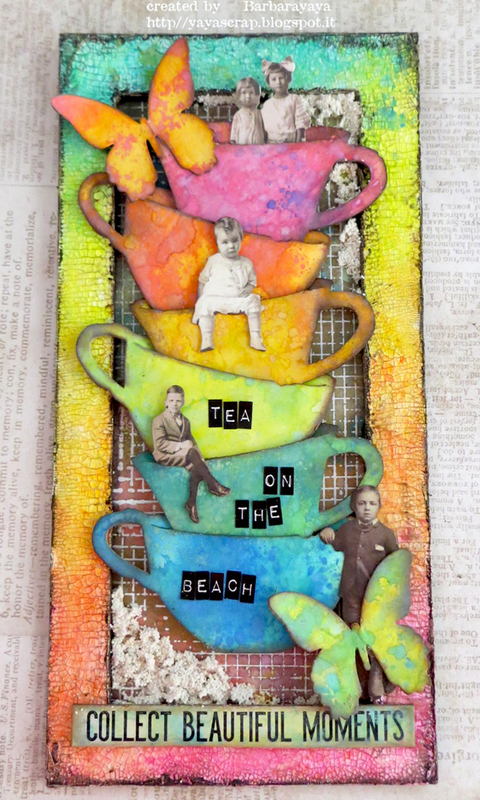 She created a colorful panel with Tim Holtz Sizzix Tea time die and Idea-ology Paper dolls to relax with a summer tea on the beach. 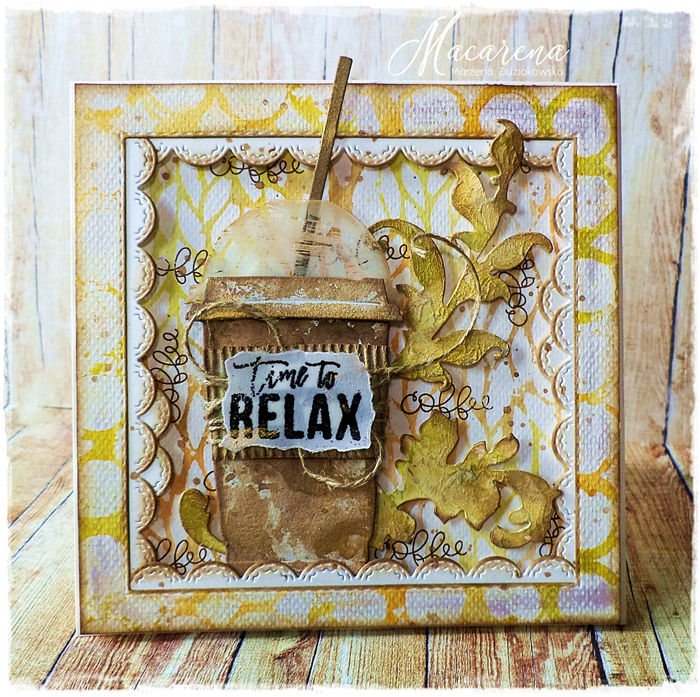 She used Distress Oxides and Ranger TEXTURE PASTE OPAQUE CRACKLE to create her project. 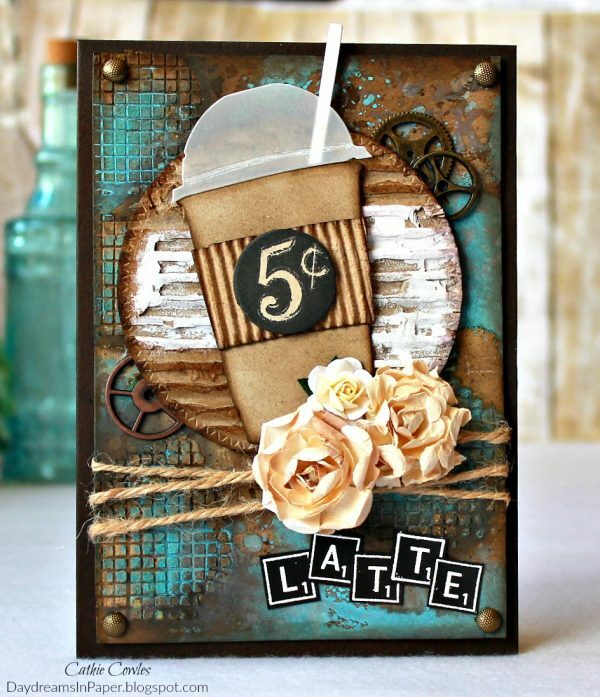 Cathie used the Tim Holtz Fresh Brewed Bigz die to create her card along with the Tim Holtz Mini Stencil Set 22 and Typo stencil to add texture to the background. 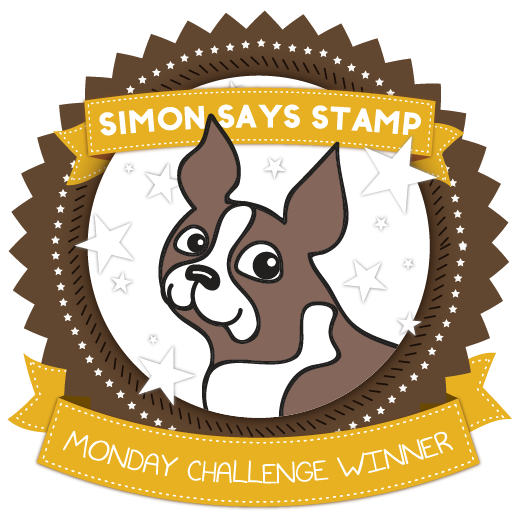 The sentiment was created using the Simon Says Stamp Game Tile Letters. 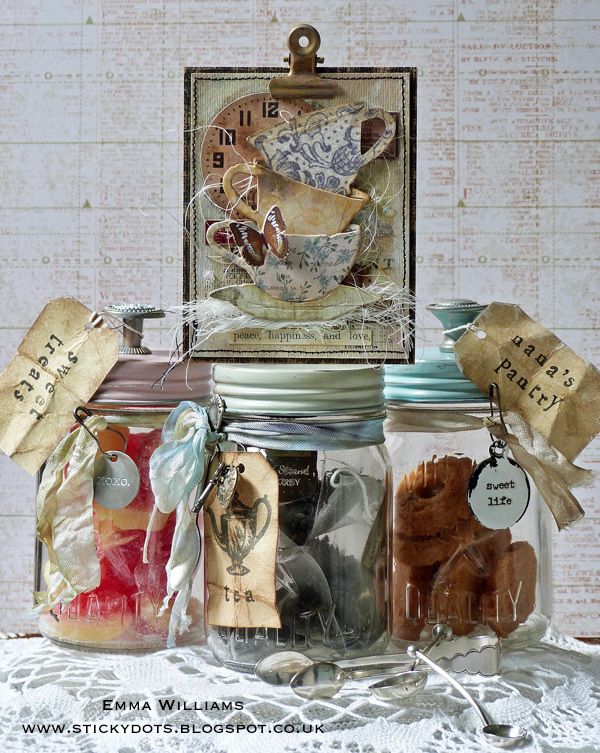 Emma was inspired by visits to her grandparent’s house when she was younger and used Tim Holtz’s Mini Mason Jars and Mini Tea Time Die to create her “tea for two” project! 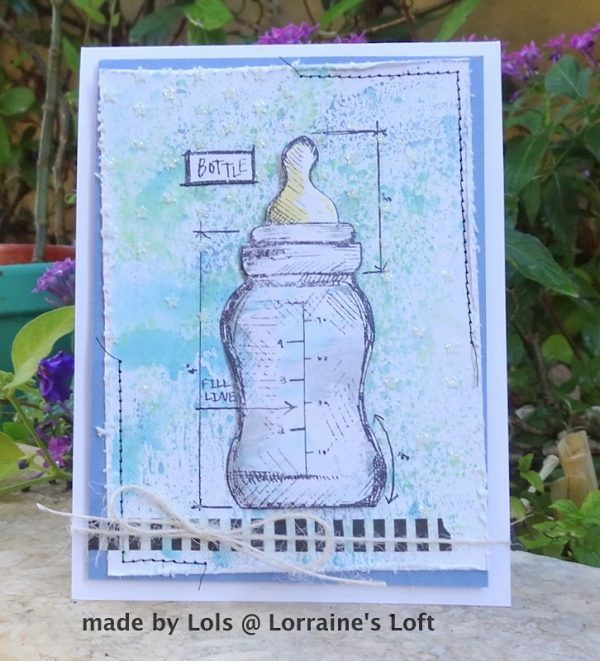 Lols made a baby card choosing to use the bottle from a Tim Holtz Baby Blueprint Set, after all, baby milk is both a drink and a food all in one! For the background she used a selection of Distress Oxide Inks and used a Falling Stars Stencil, Embossing Paste and a sprinkling of Prisma Glitter. 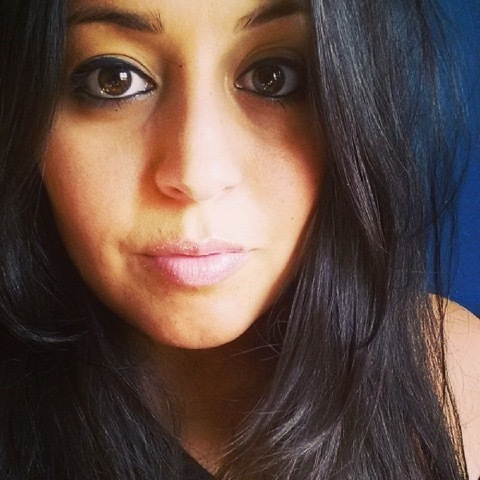 Macarena is taking a break to relax with a cup of smelly coffee. 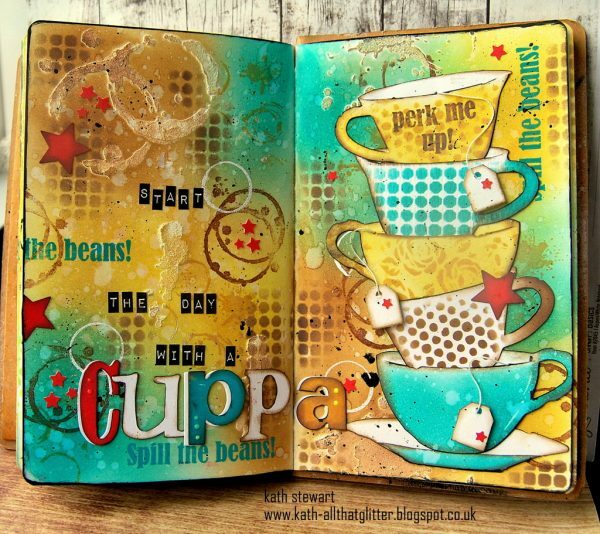 She made a layered card using TH Leafy and Ringer stencils as the backgrounds and a fabulous Sizzix dies: Fresh Brewed, Scroll and Stitched Ovals. 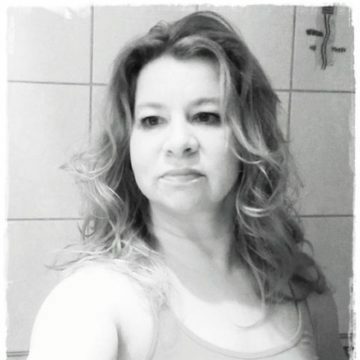 She used Simon Says Stamp Coffee And Tea and Sea You Soon to finish the project. 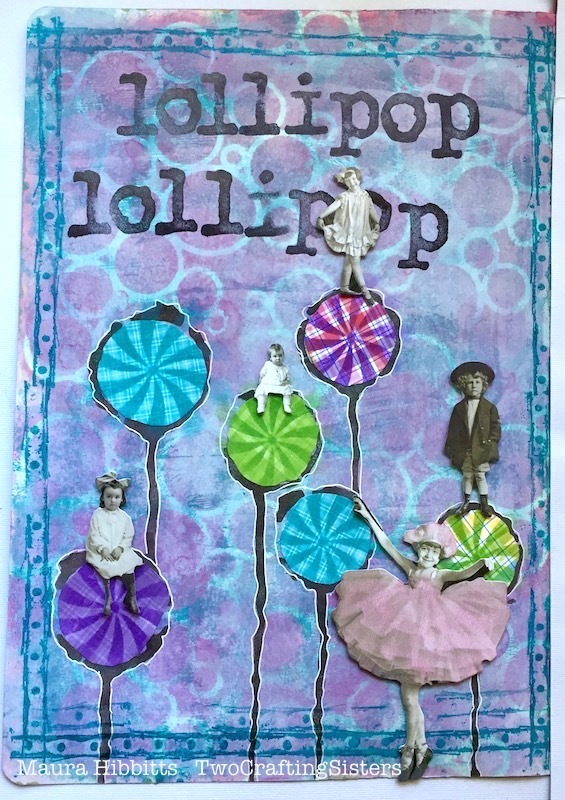 Maura turned Donna Downey’s Dandelion Pod stencil into lollipops in her Dylusions Art Journal along with Simon Says Stamp’s Candy Swirl stencil. 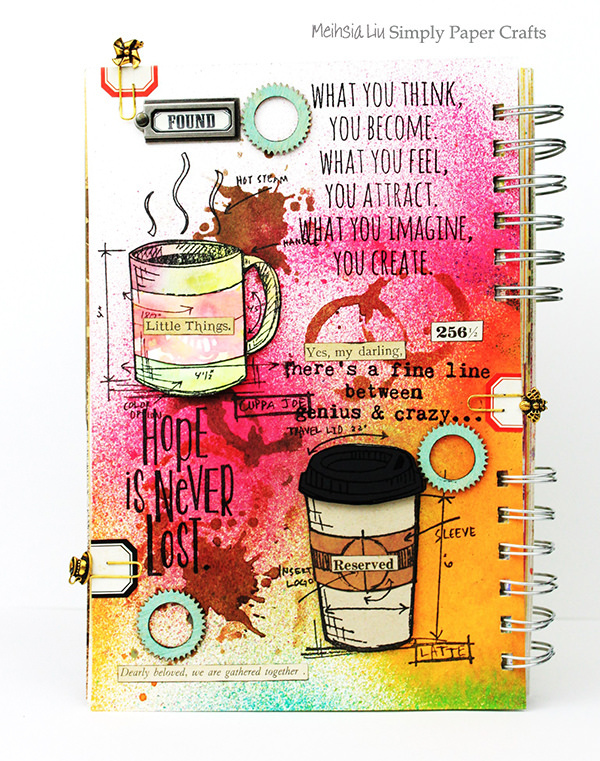 Meihsia was inspired to create an art journal page with two cups of coffee using Tim Holtz Rubber Stamp Freshly Brewed Blueprint and the stenciled stain using Tim Holtz Mini Stencil Set 3. 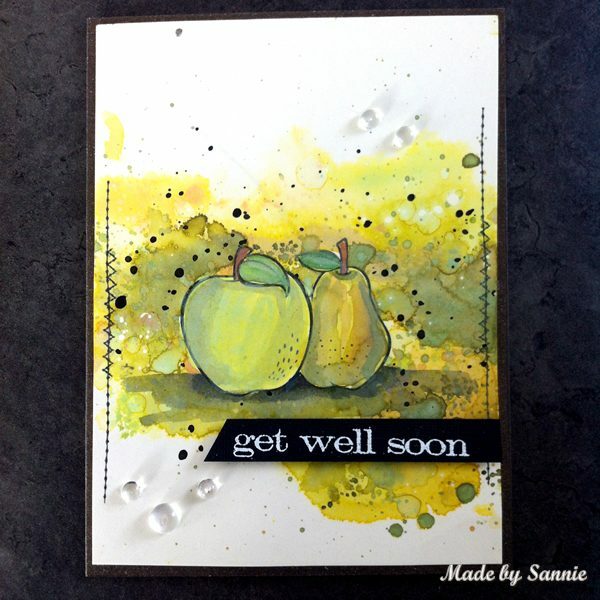 Sandra made a get well card using the Dancing Fruits stamp set from the latest Simon Says Stamp release One of Kind. 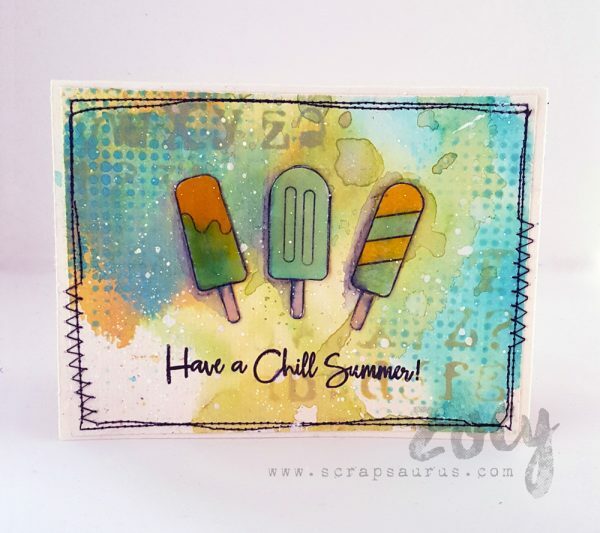 The background is made with Distress Oxides and she colored the fruit in with Distress Oxides as well as Distress Inks. 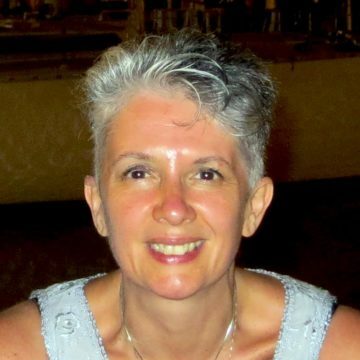 So now it’s YOUR turn to get out your inks, paints and all things arty and start distressing! We are looking forward to seeing what you make! I’ll raise my cup of tea to a wonderful challenge theme & wonderful DT creations. These are all so awesome especially love the Tea Cups ! 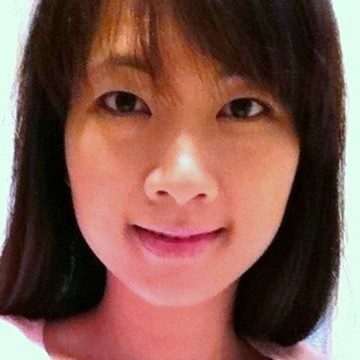 team made wonderful inspiration projects! I 💟 the Team inspiration projects. 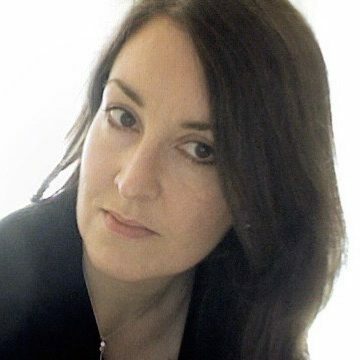 Sandra your card is wonderful. 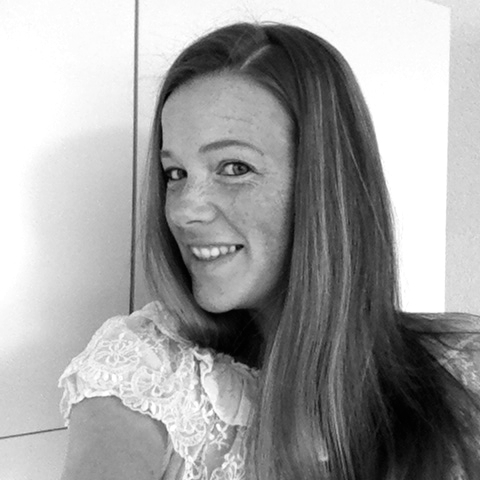 Happy Sunday to You all creative girls. 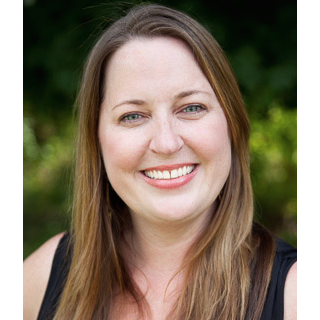 Lions and Lambs, oh my!